Make the most of the Six Nations – Major sporting events like the Six Nations championship bring an injection of millions of pounds into the UK economy every year. They create a buzz, give a welcome boost to pubs, clubs, bars, and restaurants, and they unite a nation in a way nothing else can. The benefits they can bring shouldn’t just be confined to those selling directly items directly to fans in Cardiff, Twickenham, Edinburgh, Dublin, Paris, or Rome. Any business can use the marketing boost matches can offer to help it increase sales and create more awareness of its brand. It’s also an opportunity to bring some fun to your business – and if you can make people enjoy what you produce, they’re likely to come back for more. What could your business do to capitalise on the opportunity? Use the feelgood effect from the pre-match build up and wins to help your marketing – create content which celebrates the event like memes to support your country, and relevant blogs which are themed on the championship. How about ‘7 lessons Six Nations stars could teach start-up businesses’? Or how about ‘why rugby stars love prestige watches’? Think about how you could apply this to your business. Create hashtags which potential customers can share or piggy-back on existing hashtags. Make themed images and videos which your potential customers can share. Think about your printed material like flyers and brochures – make them relevant and fun! Look at match timings to help decide when to share your content. Create special deals for match days – encourage potential customers to buy within a certain time to speed up their decision-making process. A version of the championship featuring the home nations started in 1883. France joined the championship in 1910. A new Six Nations trophy was created in 2015 – the previous one was retired. Wales has the record for the longest time without conceding a try – 358 minutes during the 2013 tournament. Brian O’Driscoll of Ireland holds the record for the number of tries in the championship with 26. This year’s Six Nations championship kicks off on February 4 with Scotland v Ireland and England v France. 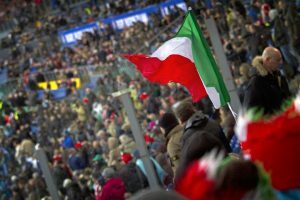 Italy play Wales in Rome on February 5. Could we help you out with your social media? Call Web Design Geeks on 0800 0155245.